The political quagmire rocking Rivers state chapter of All progressive Congress-APC, may not have come to an unexpected end as there are pending Supreme Court of Nigeria case, two Appellate court matters and two High court judgements coming from Court of coordinate status-where all the parties are members of Rivers state chapter of APC belonging to two factions with comrade Peter Odike holding the legal ace as the authentic All progressive Congress-APC chairman in the eye of the law as both Justice Chinwendu Nworgu High Court of Port Harcourt and Appeal Court Port Harcourt judicial Division all had ruled on return to status quo of all the parties involved in the litigations. www.towncrier.ng in its investigation evidentiary news reportage, gathered that comrade Peter is now an instant “most sought-after political-bride” whose hand of fellowship is being romanced by member of Chibuike Rotimi Amaechi led faction who are in dire need of legitimacy of all their political moves most of which had hit the rock of failure before competent court of jurisdiction pending the outcome of judgment of supreme court and eventual return to Appellate court. Recall that, it was fear of having illegitimate Rivers All progressive Congress-APC state executive that prompted Ojukaiye Flag-Amachree to approach an Abuja Federal High Court where it was ordered that perpetual injunction be placed on the National working committee of APC to accept the outcome of the Delegate Congresses held on 19th, 20th, and 21st of May 2018. It was also ordered that the National body of APC should not tamper or dissolve the Ojukaye Flag-Amachree led state Executives, as if that was not enough for Ojukaye Flag-Amachree and presumed state executive, it was reported that he approached Appeal court sitting at Port Harcourt in the case of 23 Local Government Areas Delegate aspirants-Ibrahim Imah Vs APC and requested to be joined in the matter since any outcome from the litigation will affect his state executive. It has been in the light of the above that comrade Peter Odike led authentic Rivers APC state executives are the political Brides who are being surreptitiously being offered several hundred of thousands of United States of America Dollars at the time of going to the press about $300,000.00 was being speculated as the bride price being placed on his head which he had allegedly rejected. Things got worse for Ojukaiye Flag-Amachree led faction so much so that, Dr. Davies Ibiamu Ikanya, the real chairman was showed aside as he abdicated his office to running for Opobo/Nkoro-Andoni Federal House of Representative seat in 2019 General Elections as a gift for his loyalty to Chibiuke Rotimi Amaechi in the heat of the ongoing legal tussle. 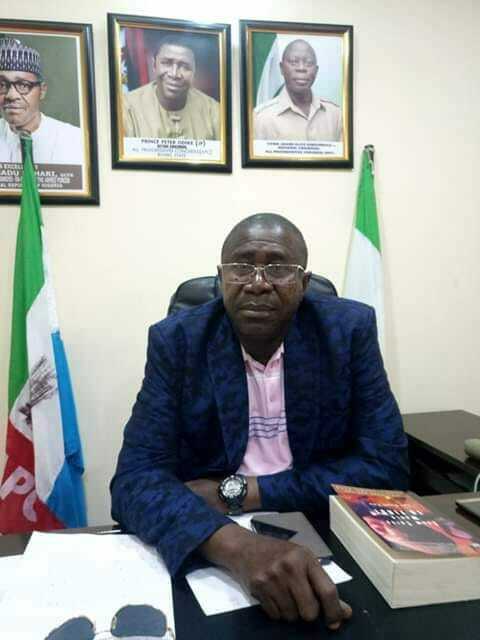 Comrade Peter Odike who is on the side of Senator Magnus Ngel Abe and he has never denied any other political office aspirant opportunity to express their intentions as all the APC forms were purchased from his 173, Aba Road Catholic mission Estate APC state secretariat office, from what was gathered, the political marriage of getting comrade Peter Odike would spell doom to all the cases before the court should he accept the offer being presented to him. Needed to write you one very small observation just to say thanks a lot again just for the pretty techniques you have discussed on this site. It has been wonderfully generous with you to convey easily just what many individuals would’ve supplied for an e-book to get some dough for their own end, most importantly considering the fact that you could have done it in case you desired. Those strategies also served to become great way to know that someone else have the identical eagerness the same as my own to figure out many more on the subject of this issue. I’m sure there are thousands of more pleasurable periods up front for individuals that check out your site.